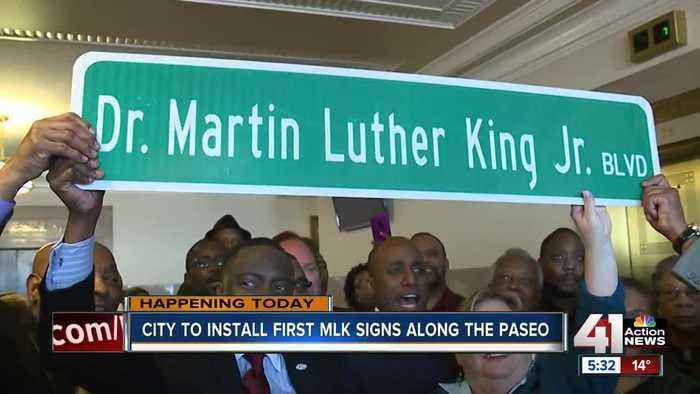 Kansas City, Missouri, will make history Monday when crews install the first street sign officially renaming The Paseo to Martin Luther King, Jr. Boulevard. The city was one of the United States’ largest cities without a road dedicated to King. Roughly 900 communities have a road named after King. The 50th anniversary of King’s death last year helped spark a movement to honor the civil rights leader in Kansas City. Last month, the city council voted to rename The Paseo. 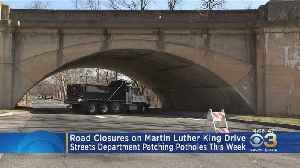 Expect to see more construction equipment at the corner of Martin Luther King Boulevard and Reading Road for the next two years. 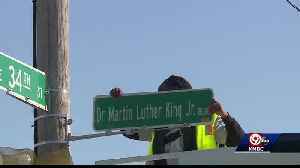 Groundbreaking ceremonies were held Monday, April 8 for the project on..
Save the Paseo is fighting Kansas City's decision to change the name of The Paseo to Dr. Martin Luther King Jr. Boulevard. A 19-year-old man was killed in a store parking lot near Martin Luther King Boulevard and Carey Avenue on Sunday afternoon. Police said a man is dead after a shooting overnight. 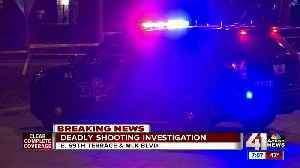 A KCPD spokesman told 41 Action News officers were sent to an ambulance call near 69th Terrace and Dr. Martin Luther King Jr. Boulevard. 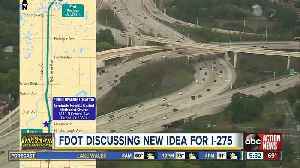 When they..
Florida&apos;s Department of Transportation wants your thoughts on adding a lane of traffic to a stretch of Interstate 275 near Dr. Martin Luther King, Jr. Boulevard in Tampa. The streets department says it will make every effort to minimize the inconvenience.